For Immediate Release: LOS ANGELES, CA (June 2017) – THE CASE FOR CHRIST, one of the best-reviewed faith-based films of 2017 will be featured at the renowned International Faith & Family Film Festival at MegaFest 2017 [June 30th @7pm] in advance of its home entertainment release in August from Pure Flix Entertainment. Pure Flix has partnered with MegaFest, the nation’s largest faith, film, and family multi-day experience to present a special screening of the powerful film as well as host an exclusive ‘Talk Back’ panel with THE CASE FOR CHRIST star L. Scott Caldwell and Pure Flix Entertainment VP Global Strategic Alliances, Franklin Santagate. 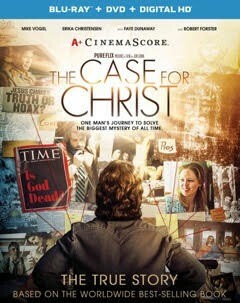 The extraordinary film is based on the 1980’s true story of a hard-driving journalist and atheist, Lee Strobel, who is exactly where he expected to be at work: on top. His award-winning investigative reporting has earned him a promotion to legal editor at the Chicago Tribune. But things aren’t going nearly as well at home, where his wife Leslie’s newfound Christian faith put a strain on their marriage. Lee sets a plan to use his investigative skills to disprove Christianity, which goes against everything Lee believes—or doesn’t believe—as an avowed atheist. Utilizing his journalistic and legal training, Lee begins a quest to debunk the claims of Christianity in order to save his crumbling marriage. Chasing down the biggest story of his career, Lee comes face-to-face with unexpected results that could change everything he knows to be true.